Widely regarded as one of the greatest pro-wrestlers of all time, if not the greatest, Ric Flair won no less than 16 world titles during his 40 year career, and was named the Professional Wrestling Illustrated Wrestler of the Year a record six times. A successful athlete from an early age, Ric won the Wisconsin State Private School Wrestling Championship twice before earning a football scholarship to the University of Minnesota. After dropping out of college, Ric’s wrestling talent was spotted once again, and he went on to be trained by wrestling legend Verne Gagne – and this time, not even a serious plane crash would stop him. The accident broke his back in three places and doctors told him that at 26 years old, he would never fight again. Yet just six months later he was back in the ring in the NWA. He won his first world championship in 1991, and The Nature Boy was born. 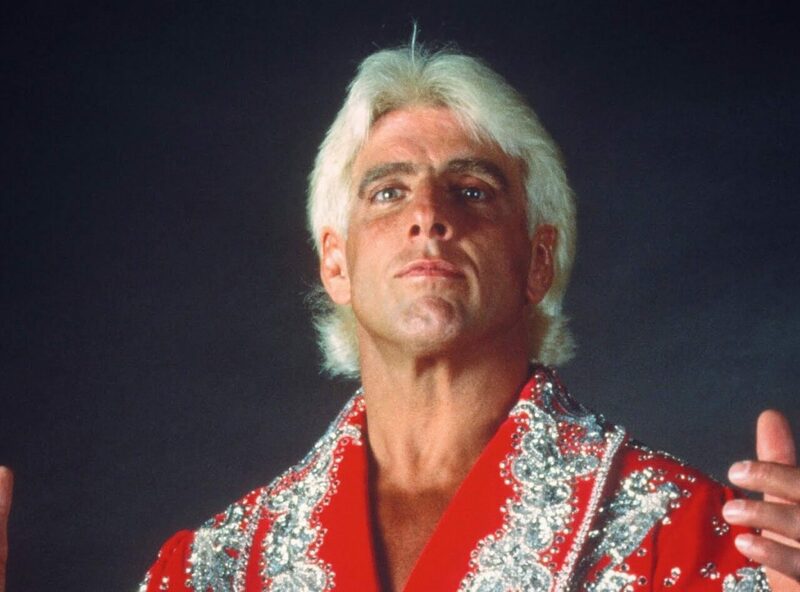 Ric developed a flamboyant, over-the-top strutting style that was a hit with fans both ringside and across the world, and was soon headlining major pay per view events for the likes of WWE. Ric’s designer suits, wild wrestling robes adorned with fur, feathers and rhinestones, and his taste for the most expensive designer shoes, marked him out as a true character of the sport, but he always made sure he had the performances to back up the pomp and ceremony. A two-time hall of famer, Ric Flair is signed to the WWE legends programme and currently works as both a wrestling manager and an active ambassador for the sport.